This outdoor Playhouse has multiple uses. It can be a home, a shop, a reading den, a cafe or even a restaurant. 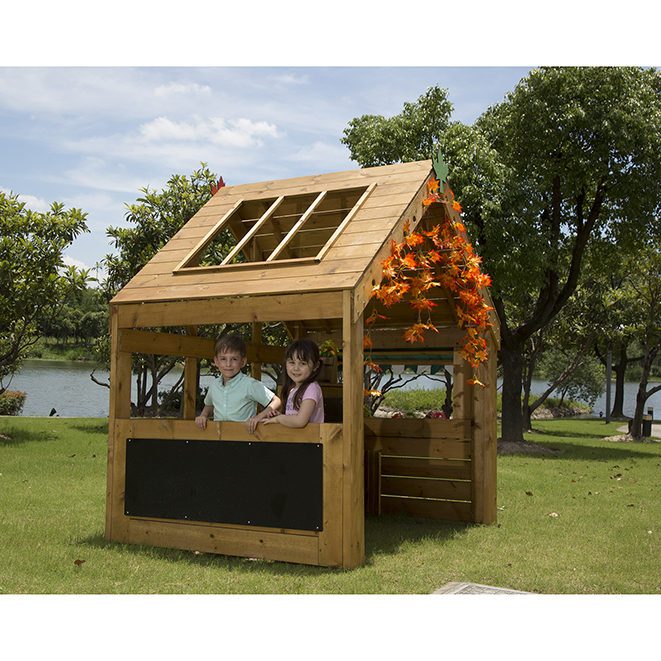 Playhouse includes a chalkboard on one side and a window box on the other with a green leaf emblem on the roof. Uniquely, there are 14 holes in the roof frame for attaching ribbons, mobiles and other sensory decorations. 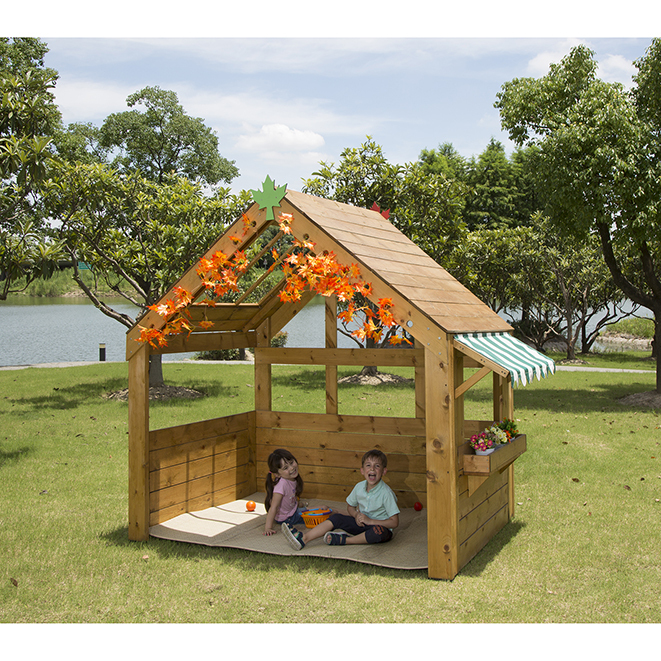 Our kitchen set is sized to fit our playhouse perfectly for extra versatility and function.